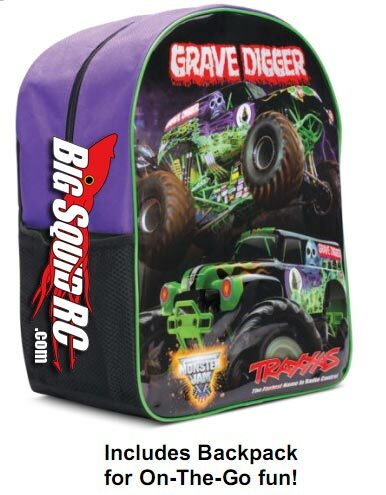 Traxxas 1/16 Monster Jam Grave Digger Official PR « Big Squid RC – RC Car and Truck News, Reviews, Videos, and More! 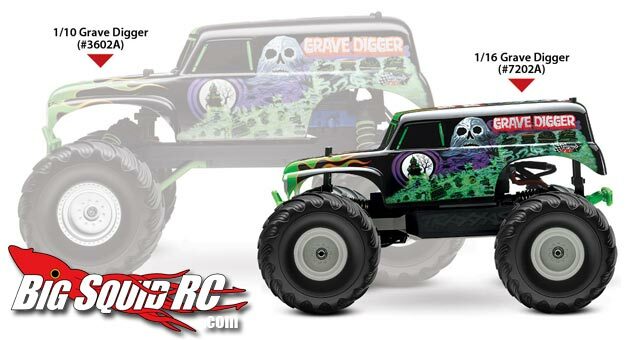 We broke the news LAST WEEK about the upcoming Traxxas 1/16th scale Monster Jam Grave Digger. But we now have some official details. It’s going to be a 2WD vehicle (the first 1/16th scale 2wd from Traxxas?) , a AM radio, 12T 550 motor with fully waterproof electronics, and a backpack! It starts shipping February 15th, 2012! Hit the Traxxas site for more details.